Ornua Foods, the company that makes Kerrygold butter and Pilgrims Choice cheese, has awarded a five year logistics contract to Culina. 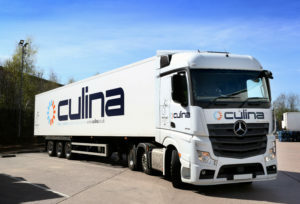 Culina is collecting finished goods from Leek to be shipped from its 220,000 sq ft chilled food and drink distribution facility in Staffordshire. “Culina Logistics has demonstrated a detailed understanding and knowledge of the chilled logistics market. They provide an innovative and collaborative approach within a complex sector supply chain,” said Ornua Foods UK trading director David Evans.